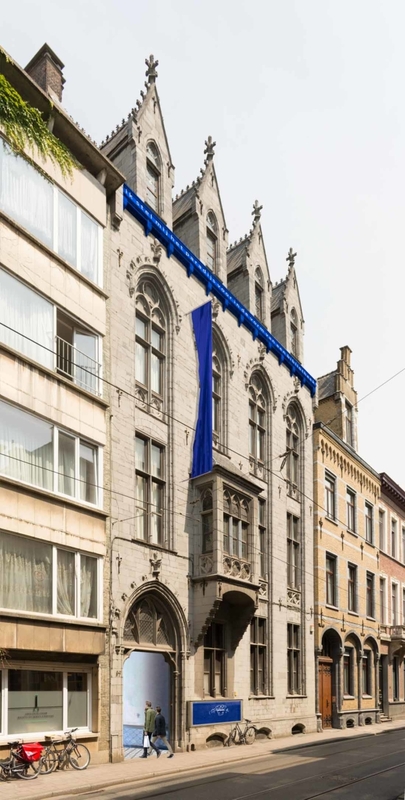 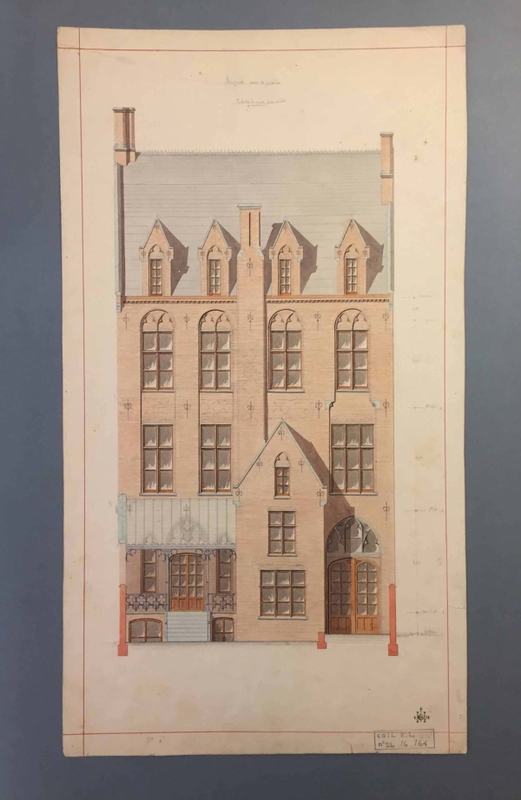 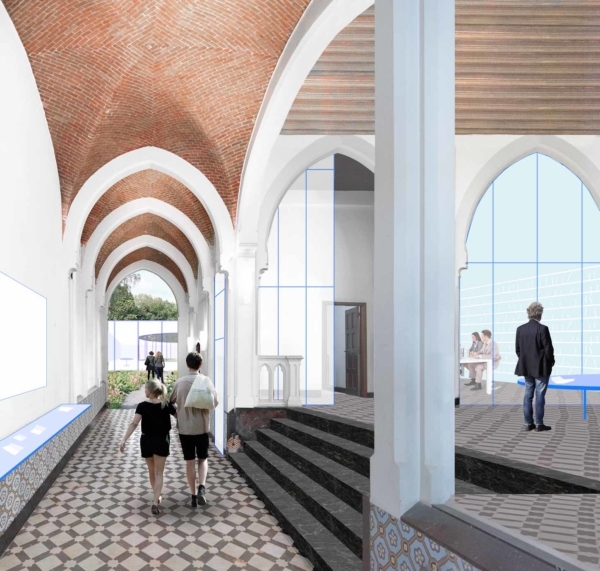 is given a new place : a beautiful neogothic “hotel de maître” in Antwerp, with annexes, interior garden and connexion to the street on the back, through a smaller house. 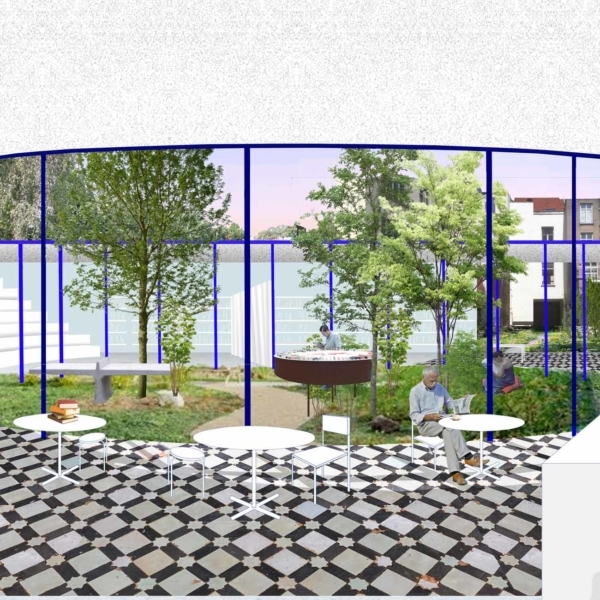 The whole site is to refurbish and waits for a new identity and program, where writers, workers and public could meet, discuss, write and concentrate. 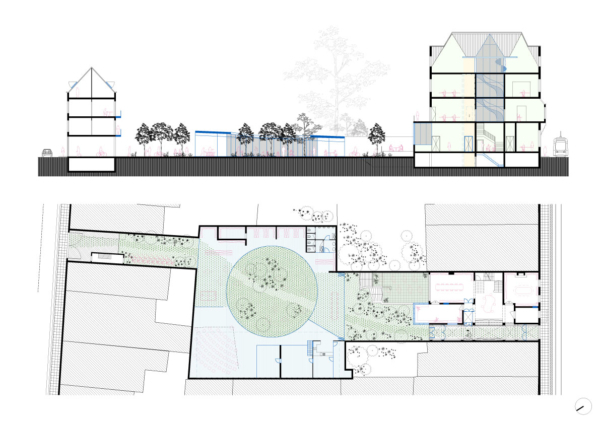 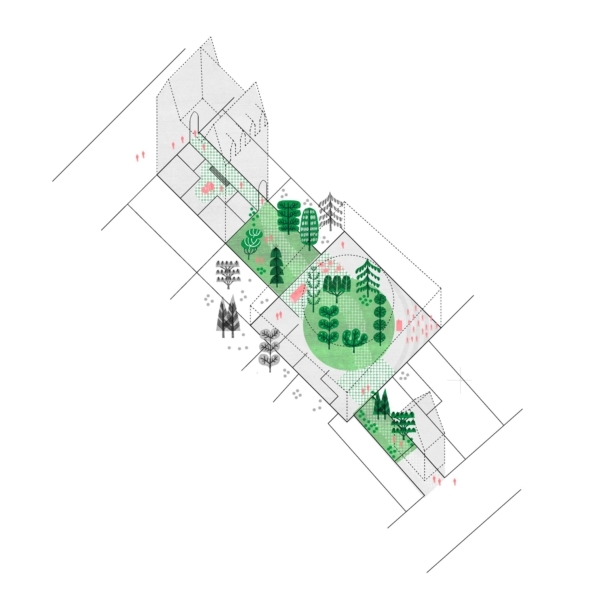 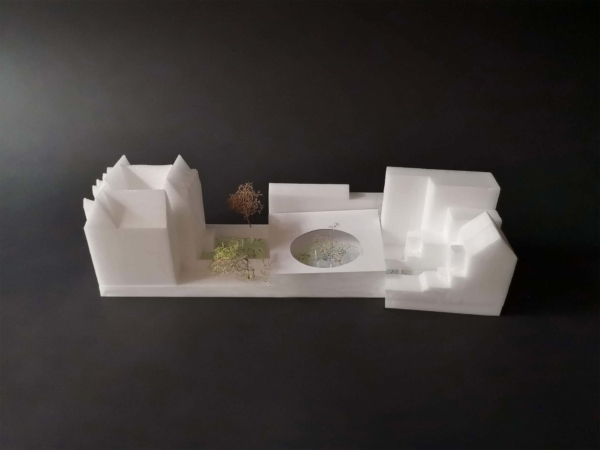 Our proposal articulates three different areas and gardens, with a public and yet introverted central new building and relation to interiority.